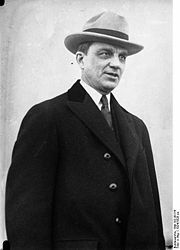 The Young Plan was designed to settle Germany’s war reparations, it was proposed by Owen D. Young, to replace the Dawes Plan, and was put into action in 1930. Due to the deepening economic depression and the banking crisis in Germany, it became clear that the huge annual payments could not be met. The total cost of reparations was set at $26, 350, 000, 000, and was to be paid over 58 years. The plan eventually collapsed with the economic depression.